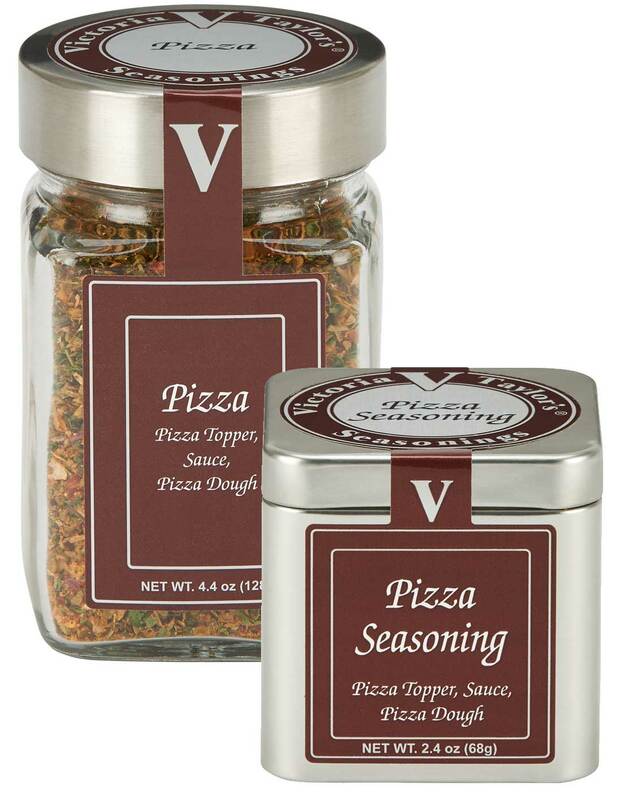 Victoria Taylor's Pizza Seasoning is blended especially for the pizza lover. Sprinkle it on any pizza or add to your favorite sauce or bread recipe. Victoria brings together the perfect combination of garlic, pepper flakes and Italian herbs for flavor you'd swear comes straight from Italy. Garlic and onion, mixed spices (oregano, red pepper, thyme, basil, chipotle chili pepper, fennel, black pepper), sea salt, parsley.